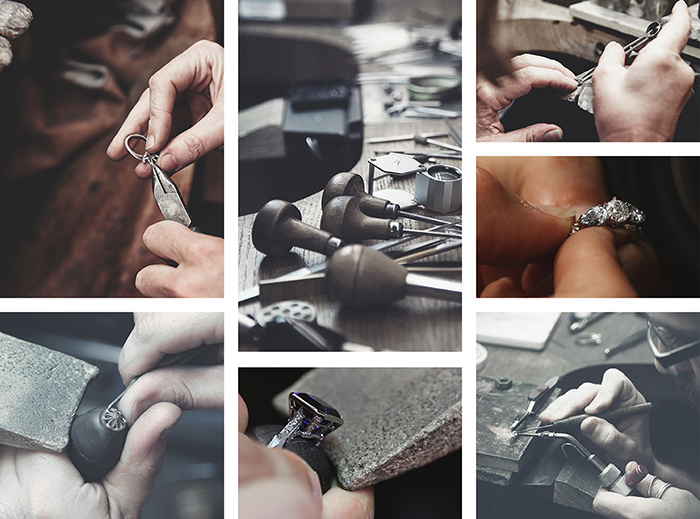 Fairfax & Roberts is proud to be Australia’s oldest established jeweller. 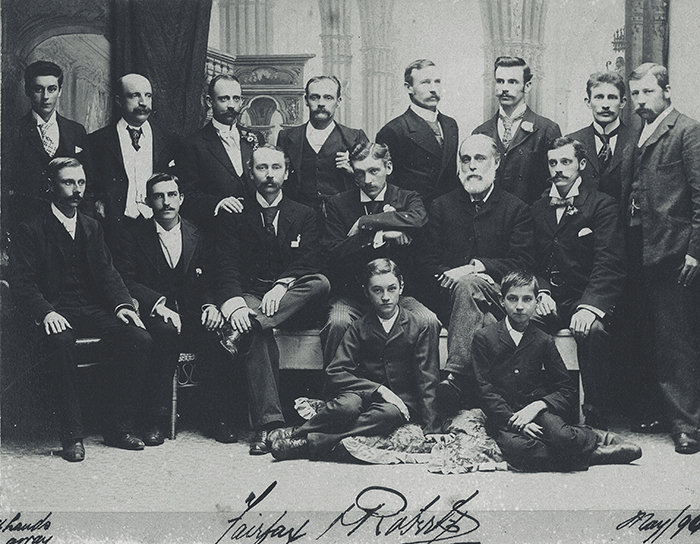 The history of Fairfax & Roberts began in 1836 when optician and Sydney jeweller Richard Lamb set up a business on Sydney’s main street. He was joined by Alfred Fairfax, of the Fairfax newspaper dynasty, and it was in 1858 they established themselves as Sydney’s finest artisans. Initially working as clock and watchmakers, trained in England and keen to make their mark in the colony, the company stamped its presence on Sydney by designing and producing the clock in the tower at the city’s Central railway station in 1873. By 1886 the company was known as Fairfax & Roberts and was designing and creating luxury jewellery, watches and objet d’art for Australia’s wealthiest families. It was at that time that Fairfax & Roberts had their maker’s mark – guaranteeing customers of authenticity and quality – registered with the Assay Office in London. Fairfax & Roberts’ pieces combined gemstones of the highest quality with precious metals to create one-of-a-kind pieces that have been tightly held by the families who commissioned them. Many of these exquisite pieces have rarely been seen outside the homes of these wealthy and private citizens. One high profile customer for whom Fairfax & Roberts created a bespoke piece was Edward, the Prince of Wales, who visited Australia in 1927 and who later become well known for his love of purchasing jewellery for his American bride, Wallis Simpson’s impressive collection. The legend of Fairfax & Roberts’ house style was built by skilled craftsmen and women. Apprenticed for decades before turning a refined and meticulous hand to the precious jewels, gold and platinum that bear the insignia of Fairfax & Roberts, each artisan devoted their lifetime to produce a few masterpieces. A century and a half later, Fairfax & Roberts still trades in precious jewels as well as specialising in client commissions. It maintains its own exclusive workshop (which customers are free to visit), where pieces are hand-carved, hand-set and designed only for the client for whom they are commissioned. In 1990, Fairfax & Roberts moved to our current location on Castlereagh St – in the centre of Australia’s most exclusive retail district with neighbours including Rolex, Breitling, Tiffany, Chanel, Armani and Jimmy Choo. Our flagship showroom is in a landmark Art Deco building that is perfectly aligned with our history and design ethos. Within this inspiring environment, we continue to create our history by designing and crafting jewellery in Sydney that captures a moment for our clients and gives them the opportunity to tell the next chapter of their own story. 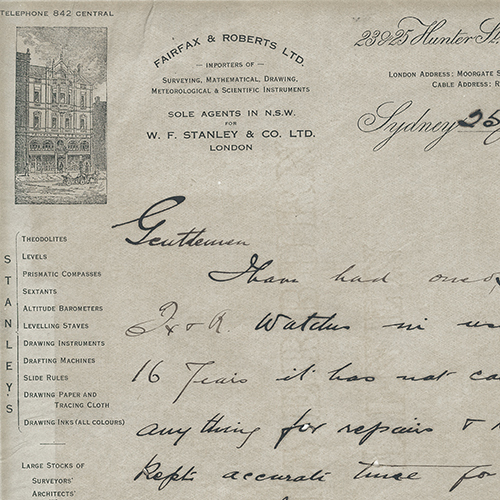 To learn more about our History as a jeweller in Sydney, click the link below. Next PostNext What Is The Hardest Gemstone?